As your student’s support system before they go abroad and when they return home, you may be the person they lean on during the predeparture stage, and also who they decompress with during the re-entry process. Knowing what to expect in both these transitionary times is necessary in supporting your student through this hugely transformative experience. IES Abroad knows that the experience of having your student study abroad is exciting, challenging, and often involves planning on the part of the entire family. We are pleased to offer this free online orientation for parents, guardians, and family members of students studying abroad with IES Abroad. 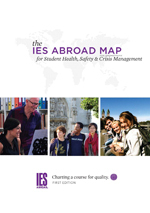 The presentation is meant to supplement the information provided in the IES Abroad Family Guide, which is sent to you after your student is accepted to the program. If you haven’t yet received your Family Guide, it will be mailed to you soon. Studying abroad is a rewarding adventure that reaps many academic and personal benefits. But it is important to understand that the study abroad experience does not end when your student returns home. Information on the Stages of Transition and the 10 Re-entry Challenges is intended to help you understand your student’s experience in remembering, analyzing, and interpreting their time abroad. 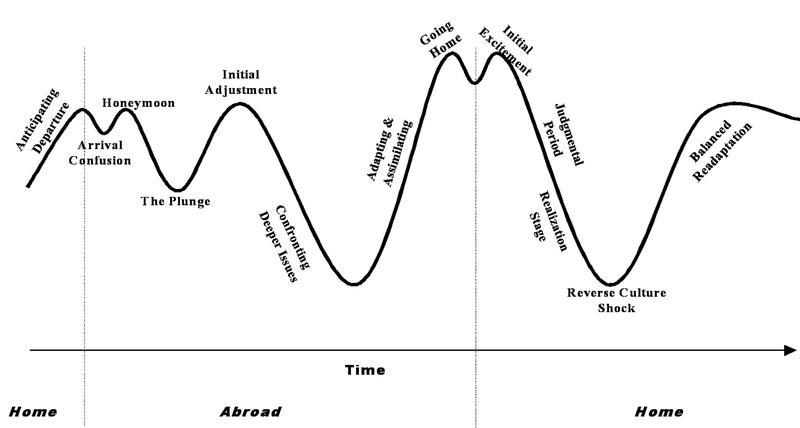 The Stages of Transition above are adapted in part from the works of Margaret Pusch and other leaders in the field of study abroad, and are intended as a guide to help students and their parents understand the experience of cultural adaptation. Students may pass through these stages in a different order or skip some stages altogether. As your student encounters these stages, listen, praise accomplishments, and offer support. Try not to make cultural or value judgments. Instead, ask about differences and try to understand them together. Anticipating Departure - With the excitement of preparation comes the formation of expectations and goals. To prepare for the transition, students should research the country in which they will study. They should remain realistic in their expectations to avoid disappointment. Arrival Confusion - The first few days can be very trying, disorienting, and intimidating. It is not uncommon for a student to call home, upset about housing, the city, jetlag, or local people. If your student is upset, instruct him or her to speak with the local IES Abroad Center staff, who are ready to help during this initial adjustment period. The Honeymoon - As everything in the host country is typically new, different, and fascinating, many students respond by being on a cultural high, feeling that everything is wonderful. The Plunge - When the novelty wears off, students can become frustrated and confused by the need to adjust to new ways of communicating and differences in living style, food, social customs, and classroom interactions. Although difficult, this stage prepares students to engage with the new culture at a deeper level. Initial Adjustment - As students develop their language and social skills, they become more confident and comfortable with local transportation, communication, and social customs. Understanding these aspects of culture and responding appropriately are important accomplishments. Confronting Deeper Issues - As students confront cultural differences and personal issues at a deeper level, they begin to see a multitude of approaches to their life abroad and to question deeper assumptions about the world. Students may feel isolated at times. Adapting and Assimilating - The sense of isolation subsides as students begin to feel more at home and identify with new ways of thinking and behaving. At this point, students are comfortable with their home identities and with the adapted identities they have developed in the new culture. Not all students will reach this stage, so do not be disappointed if your student does not. In conclusion, the overseas experience does not end when a student boards the plane to return home. Study abroad is followed by a period of remembering, analyzing, and interpreting the overseas experience. The transition back to the home culture can be a challenging time, in part because it is unexpected. Students go home to what they believe are familiar, unchanged family and friends. While you may feel that you have not changed a great deal, your student may feel that you have. Students gain a new perspective as a result of their experiences abroad, with new frames of reference. They are trying to reconcile two very different cultures. It is not uncommon for students to feel temporarily homesick for their overseas friends and lifestyle. They may also find that life at home is more demanding than they expected and that they no longer feel as unique and special as they were when abroad. Although each day at home may bring new challenges, they most likely are not as exciting or exotic as the challenges overseas. Eventually, students will reach a balance between the new and the old, the foreign and the familiar. They will fully integrate life overseas with life at home, appreciating both cultures for their own inherent worth. In doing so, your student will be well on their way to the development of intercultural competence, one of the greatest rewards of studying abroad. While this can take time, it has great personal and social benefits. Sometimes the most challenging aspect of a student’s study abroad experience can be returning home. Professor Bruce La Brack from the University of the Pacific has been a leading observer of students in study abroad for many years. Based on his experience, he has compiled the following list of re-entry challenges for students returning from study abroad. IES Abroad is grateful to Dr. La Brack for allowing us to use his suggestions. They are provided here to give family members a perspective on what the return adjustment process can entail. After all the newness and stimulation of a student’s time abroad, the return to family, friends, and old routines (however nice and comforting) can seem very dull. It is natural to miss the excitement and challenges that characterize study in a foreign country, but it is up to the student to find ways to overcome such negative reactions and keep in mind that a bored person is also boring. 2. "No One Wants to Hear"
One thing students can count on upon their return: no one will be as interested in hearing about their adventures and triumphs as they will be in sharing those experiences. This should not be considered a rejection of them or their achievements abroad. However, once others have heard the highlights of students’ experiences, further interest on the audiences’ part is probably unlikely. Students should be realistic in their expectations of how fascinating their journey is going to be for everyone else. They should be brief in their descriptions. Even when given a chance to explain all the sights and feelings of their study abroad experience, students are unlikely to be able to relay them coherently. It is very difficult to convey this kind of experience to those who do not have similar frames of reference or travel backgrounds, no matter how sympathetic they are as listeners. Students can tell people about their trip, but may fail to make others understand exactly how or why they felt a particular way. This is okay. Just as students probably missed home for a time after going abroad, it is just as natural to experience some "reverse" homesickness for the people, places, and things that they grew accustomed to as a student overseas. To an extent, this feeling can be reduced by writing letters or email messages, telephoning, and generally keeping in contact. Feelings of loss are an integral part of international sojourns and must be anticipated and accepted as a natural result of study abroad. It is inevitable that when students return, they will notice that some relationships with friends and family will have changed. Just as they have altered some of their ideas and attitudes while abroad, the people at home are likely to have experienced some changes. These changes may be positive or negative, but expecting that no change will have occurred is unrealistic. The best preparation is flexibility, openness, minimal preconceptions, and tempered optimism. Sometimes people may concentrate on small alterations in returned students’ behavior or ideas and seem threatened or upset by these changes. Others may ascribe any “bad” traits to the influence of their time abroad. These incidents may be motivated by jealousy, fear, or feelings of superiority or inferiority. To avoid or minimize such reactions, it is necessary for returned students to monitor themselves and be aware of the reactions of those around them, especially in the first few weeks following their return. Normally, this phase passes quickly if students do nothing to confirm others’ stereotypes. A few people will misinterpret students’ words or actions in such a way that communication is difficult. For example, what students may have come to think of as humor (particularly sarcasm, banter, etc.) and ways to show affection or establish conversation may not be seen as wit, but aggression or “showing off.” Offers of help in the kitchen can be seen as criticism of food preparation, new clothing styles may be seen as provocative or inappropriate, references to their host country or use of a foreign language as boasting. Students should be aware of how they may look to others and how their behavior is likely to be interpreted. Sometimes the reality of being back "home" is not as natural or enjoyable as the place the students had constructed as their mental image. When real daily life is less enjoyable or more demanding than they had remembered, it is natural to feel some alienation, see faults in the society they never noticed before, or even become quite critical of everyone and everything for a time. This is no different than when they first left home. Mental comparisons are fine, but students should keep these observations to themselves until they regain a balanced cultural perspective. Many returnees are frustrated by the lack of opportunity to apply newly gained social, linguistic, and practical coping skills that appear to be unnecessary or irrelevant. To avoid ongoing annoyance, students should adjust to reality as necessary, change what is possible, be creative and patient, and above all, use the cross-cultural adjustment skills they acquired abroad to assist their own re-entry. Being home, coupled with the pressures of job, family, and friends, often combine to make returning students worry that somehow they will "lose" the experience, that it will become compartmentalized like souvenirs or photo albums. Students do not have to let that happen. They should maintain their contacts and also talk with people who have had similar experiences. They should practice their language skills and remember and honor both their hard work and the fun they had while abroad. Today, these guidelines and assessment methods represent best practices in the field of education abroad and now serve as the benchmark for national standards. Based upon our experience sending nearly 6,000 students abroad annually, as well as our work with colleges and universities, we identified additional areas that would benefit from a similar examination and standardization. 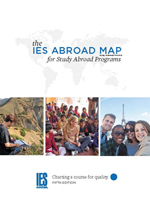 Educational tool for designing and evaluating study abroad programs. Guidelines that offer practical strategies for language learning and assessing language learning programs. Guidelines for addressing student safety and risk management in the administration of study abroad programs. We began conducting regular, formal assessments of our study abroad programs in the 1970s, and are proud to be the first in the field of international education to do so. 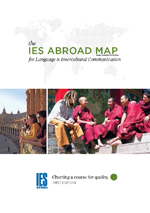 Every year, committees made up of faculty representatives from IES Abroad member schools, a member of IES Abroad’s Academic Council, a representative from IES Abroad’s School of Record, and a member of IES Abroad’s Board of Directors visit select Centers to conduct thorough and rigorous assessments.